Services » Sussex Timber Products Ltd.
Sussex Timber Products Ltd. do more than just manufacture timber buildings. Our support services include the installation of buildings, along with a complete groundwork and landscaping service should there be a requirement. We have found that keeping additional services 'in house' saves time and energy identifying separate contractors, and having to deal with several different people all at the same time which can lead to confusion and delays. 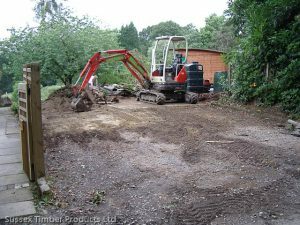 We offer a full groundwork service including landscaping, clearing, tree cutting, rubble disposal, fencing and driveway construction. Our staff of equipment operators, grounds workers, drivers and other staff are dedicated to providing exceptional service to our customers. 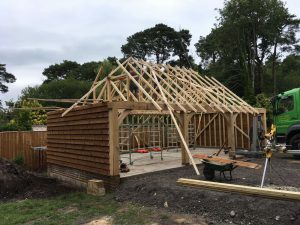 Sussex Timber Products Ltd has been in the timber building construction industry for over 25 years and has developed a well-earned reputation for providing a quality installation service to compliment its manufacturing side of the business. © All Rights Reserved. Sussex Timber Products Ltd.